While doing research on the recent history of the Episcopal Church I came across this blog hosted by a well-known Episcopal "priestess" who is also lesbian. She proudly lists many of the men and women who each in their small way contributed to the demise of the Episcopal Church in the USA. (I include myself, since I too consented to being ordained and spouted the party line for far too long.) Elizabeth Kaeton did the research for me. The main characters are all listed at her blog. I should have copied the list and moved on, but I took a moment to comment and that led to this passing conversation. Perhaps readers of Just Genesis will find it interesting and instructive. Alice: These women are "priests" in name only. I'm sad for them, not celebrating. Elizabeth: You may not like the fact that they are priests, but that doesn't change the fact that they are priests, Alice. I'm sad for you. Alice: Okay. We'll be sad for each other and let the Lord sort it out. However, as the priesthood is based on an unchanging celestial pattern which presents God as male priest from time immemorial, there is certainly reason to investigate the nature of their "priesthood." Elizabeth: Investigate all you want, my dear, but a fact is a fact. You can be sad about that fact. You'll excuse me, however, and millions of others, as we rejoice and give thanks and praise to God who never limits the power of the Holy Spirit to call those who are equipped for the ministry of ordained service in the Church beyond barriers of gender, race, age, and sexual orientation. Alice - I'm assuming you are from Lexington, KY (checked my sitemeter). Bishops Sauls, right? Very supportive. You must either not be Episcopalian, or you are in one of the schismatic Anglican-wanna-be churches from the Global South or you are Roman Catholic. So, what's a nice "orthodox" girl like you doing in a place like this? I mean, what do you expect? If you need to feel "sad", then I suppose you could come here and 'tut tut' but why waste your time? Why not invest it in being the best orthodox woman you can be - and be happy? God's peace and joy to you on the eve of the Second Sunday in the most joyous season of Easter. Alice: I was ordained to the priesthood by Allan Bartlett in the Diocese of Pennsylvania and personally knew Geralyn Wolf, Barbara Harris, Mary Glasspool and many others. I knew these women to be caring and sincere people. This isn't about their (or your) character. It is about historical, anthropological, linguistic, and archaeological evidence. Bishop Sauls was my bishop. He was far from supportive. He doesn't support those who disagree with him, and you know that. Do you ever get lonely out on that limb? You think that there are so many who hold your view, but it is a very small club. I never realized how small until I left TEC and began to explore the Roman Catholic and Orthodox Churches. May the rising of the Son of God shine on your heart and illumine you. Elizabeth: So, Alice, have you renounced your priesthood, too? If you have, I'm so sorry. If you haven't, why haven't you? I'm really curious to know. Do you really doubt that God called you to ordained service because of "historical, anthropological, linguistic, and archaeological evidence"? Do you really doubt that the Holy Spirit can't work through all those human-made and human-defined barriers? God called Esther and Ruth and Judith to leadership in community. They weren't ordained because of ancient, cultural misogyny. Why else would Jesus choose Mary Magdalene to be the first to reveal himself after the resurrection, and make her the first evangelist? No, I'm not lonely. At. All. I was, when I was RC and knowing that "the boys" had it all wrong. What looks to you like a limb is really a very strong branch of the tree of apostolic faith. And, no, I don't know "that" about Stacy Sauls. I find him to be eloquent and articulate and strong defender of the faith. Elizabeth: Alice - never mind. I just googled you and now know who you are. Gave up your orders when +V Gene Robinson was ordained. You have the courage of your convictions and took the high road. Good for you. If you are comfortable with your decision, why come over to blogs like mine? Why read an essay about ordained women? Why did you feel it necessary to comment - and take a pot shot about "being lonely"? Sounds like things are not completely settled in your soul. I will pray for your continued strength and discernment, my sister. Dear readers, do you see the flaw in her logic? She begins by asserting that women priests is a new thing to which the Episcopal Church was guided by the Holy Spirit. If this is so, why try to establish precedent by listing women: Esther, Ruth, Judith, and Mary Magdalene, none of whom were priests. Not a single female can be found in the Bible who was a priest. Neither can a woman priest be identified in the history of the Church, despite frantic theories about "Junia" and "Presbytera." See the links under "related reading." You might want to respond to this at your blog. I'll link my post back to your response. That would make a fair hearing for your readers and mine. I've already read lots of your stuff. Well, enough to know your position, which is nothing new. It's the same-old-same-old tired stuff I heard when I was growing up in the RC Church and among Greek Orthodox in my neighborhood. They (and now, people like you who hold to this position about WO) will argue something like the 'fact' that TEC is not keeping the "proper tension" between Scripture and Tradition. And, I will argue that you are not keeping the 'proper tension' between Scripture and Tradition and the on-going revelation of the Holy Spirit. Indeed, I would argue that your argument is a testimony to spiritual cowardice, hiding behind a wall of scripture and tradition because you are so afraid of what the Holy Spirit still has to reveal. So, we'd volley back and forth like that, to what end? This conversation is over, having been decided by the church for going on two generations in the church. Even the folks at SFiF will not allow a discussion of WO. Why on earth should I give you a forum for your position, outdated and irrelevant to the life of this branch of the church as it is? I wish you well, Alice. I can only believe that this request for conversation on my blog comes from the heart of one who is in a place of desperate spiritual loneliness and in deep need of affirmation for what must have been - and continues to be, obviously, from your request - a difficult and painful decision based on a 'reaction' (vs a 'response') to the consecration of +VGR. I pray for your eventual healing, your acceptance of the consequences of your decision, and the joy of your new relationship with God in Christ. In other words, she won't engage the issue; again proving that Dialogue with Revisionists is Impossible. Elizabeth is stuck in that humanist-Protestant-deconstructionist view of history that denies thousands of years of Jewish foundation for Christian worship, and instead attributes it to man. She doesn't see the contradiction between her faith in God and what God's self-revelation to humanity is and always has been. Attempting to change the ancient relationship of God to humanity that Alice so capably is demonstrating, does not make it valid. Elizabeth doesn't see that she, by having her blog, is only looking for validation of her inclusive definition of God and humanity's interaction with Him. God has not been inclusive, he has been exclusive repeatedly throughout history. "Do you really doubt that God called you to ordained service because of "historical, anthropological, linguistic, and archaeological evidence"? Do you really doubt that the Holy Spirit can't work through all those human-made and human-defined barriers?" The Paraclete wants me to be the pope. I doubt she feels lonely (Integrity has a pretty large membership). And there plenty of like minded clergy in the other mainline churches. The only lonely folk in the TEC are conservatives. As for the Biblical quotes to support the position, no it doesn't follow. The TEC became irrelevant in the 80's and is quickly driving away most of its membership. Soon it will be simply an "amen club" for those who reject the faith and believe that the Holy Spirit contradicts Himself. While they may not be lonely, they are sad. They're belief is purely ideologically driven and they reject the path of humility, which is the only way that one can find union with God in Christ. Ideologically driven. That's a perfect description. It certainly isn't based on facts, evidence or even good critical thinking. I know Anglicanism claims to be Catholic, but it did not accept the Holy Sacrifice of the Mass until, the 19th century Oxford movement, along with Apostolic succession. The English Martyrs gave their lives to celebrate the true sacrifice. The renowned Anglican liturgist Dom Gregory Dix (1901–1953) commented on the Cranmeriam rite: "As a piece of liturgical craftsmanship it is in the first rank. . . . It is not a disordered attempt at a Catholic rite but the only effective attempt ever made to give liturgical expression to the doctrine of justification by faith alone" (The Shape of the Liturgy , 11). Indeed, shortly before his execution, Cranmer admitted, "Lord, I have sinned against heaven, before thy face. I have sinned against heaven, which through my fault is bereft of so many who should be dwelling there and because I most shamefully denied this heavenly gift presented to us. I have sinned also against earth, which so long has miserably lacked this sacrament, and against the men who I have debarred from this supersubstantial food, being the murderer of as many as have perished from the want of it. I have defrauded the souls of the departed of this perpetual and most august sacrifice"
(translated from the Latin text in appendix to vol. IV of Jenkyns’ edition of Cramner’s Remains, 397). Again, in the seventeenth century a movement in the Anglican church originated with a group of clergy who refused to take an oath to William of Orange when he usurped the Catholic King James II in 1688. They were expelled from the Church of England and tried to effect a union with the Greek Orthodox Church. In their appeals to the Patriarch of Constantinople, these High Church officials rejected the idea of a propitiatory sacrifice, invocation of saints, and images. Their overtures were turned down. Something tells me if this continues there might be Martyrs for the Holy Mass on all sides. Savvy, this does have to do with the sacrament and on a deeper level with Christology. Elizabeth and those who believe as she does, reject Holy Tradition (which is about Jesus Christ, the Son of God) and have created their own version of Christianity, which is NOT Christianity. The Presiding Bishop of the Episcopal Church rejects the Apostles', Confessors' and Martyrs' claim that Jesus Christ is the only way to the Father. Pity the exchange, which might otherwise have been so enlightening, sank to the ad hominems. Personal attack is all that remains when you can't argue from the facts. I am sorry to say this, but this not the first time the Holy Spirit has been invoked by the Anglican church. The Holy Sacrifice was once considered an abomination and people were put to death for celebrating it. The church of God does not flip-flop on major issues. Yes, I agree this has descended into outright anti-Christianity. Yes. In the 1970s, the Episcopal Church USA tossed out the Cranmerian liturgy and replaced in the 1979 prayer book with a hodge podge of modern liturgical reforms, following the Vatican II pattern. These reflect both dramatic and subtle changes which moved Episcopalians away from catholicity and holy tradition. The belief in Baptismal regeneration was eliminated and the catechism was corrupted. Here is an example. By asking “what” instead of “why” the 1979 Catechism, in keeping with post-modern trends, moves from ontology to phenomenology. Ontology is the study of being, source, and origin. Phenomenology is the study of what is sensibly perceived. Why is this significant? An ontological approach requires faith in the Person of Jesus Christ and in the redemptive power of his death. A phenomenological approach involves description of the experience of Holy Communion. Orthodoxy maintains that a true description of the experience is possible only where there is faith in the One who ordained the Sacrament. In other words, asking “why” places value on the Sacrament because of the One who ordained it. Asking “what” devalues the Sacrament by drawing attention from the Author of sacrament and making the sacrament into a thing to be perceived, rather that a Person to be received. "I wish you well, Alice. I can only believe that this request for conversation on my blog comes from the heart of one who is in a place of desperate spiritual loneliness and in deep need of affirmation for what must have been - and continues to be, obviously, from your request - a difficult and painful decision based on a 'reaction' (vs a 'response') to the consecration of +VGR." While I'm sure EK really does mean well with these words, what strikes me is the assumption here that the traditional viewpoint is coming from an unhealthy psychological frame of mind. This attitude is as much of a conversation stopper as anything (you disagree with me because you are not well). I used to hear this sort of thing a lot when I was in the TEC, not so much anymore now that I'm out. I'm not sure how enlightening a discussion of facts would be with EK, as I think you would get mired down into a fundamental disagreement about what the facts are. I'm sure she would argue that the binary male/female distinction is instead a continuum, as is sexuality. Perhaps you could identify the premises behind everything that are incompatible. St. Paul explains in Romans 1:20 that the binary sets which are objectively and universally observed in nature speak of God's eternal power and His divine nature. They point us to the Triune God, just as the priesthood and the pleromic blood point us to Jesus, our Great High Priest and the Lamb of God. Therefore I conclude that since they justify homosex by rejection of what God has made known about Himself in creation, they reject God Himself. That will seem a radical conclusion to some, but it is a logical conclusion. What the priestess Kaeton seems to misunderstand is that simply declaring a fact to be so, does not make it so. One can't make a round square, a married bachelor or a female a priest simply by declaring that you have done so - such thing are metaphysical impossibilities. I did battle, using reason and scripture, and asking for study group to be officially convened, on the homosex priest issue for many rounds as our diocesan conventions came and went, and offered all in our diocese many opportunities for dialogue and debate. The sound of crickets was all that, generally, was heard. Shunning and personal derogation of motives were the primary tactics used by the defenders of homosex priesthood. 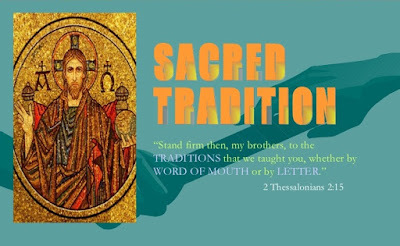 I continue to lead worship and occasionally offer another opportunity for dialogue (by e-mail, by letter, by certified mail), the latest refusal to engage was ascribed by our Bishop to the priestess' inability to answer due to no training in dialectics in seminary. Being unable to answer, the priestess answers not at all. Your anthropological inquiries hold deep interest for me. Thank you and bless you for openly sharing them.